On Monday, May 30th 2016 we celebrated our 25th wedding anniversary and on this wonderful occasion, we performed Shree Satyanarayana Pooja. We invited our family and friends, and our Daughter flew from North Carolina to celebrate this great day with us. We are all going to visit India in July, and I will personally send many of you invites to join a grand pooje and party in Bangalore as well. I will post how I prepared for the pooje and food items soon. Below are some pictures my daughter took. The pictures are in a slide show, you can click on them, the end pictures are from evening pooje. Ms. Bhavana Damle would like to share her favorite song on Lord Vishnu – ” Shri Satyanarayana vrathakatha”. Thanks, Bhavana. nityam chakraabjamandale”. Worshiping the Almighty Lord with Chakrabja Mandala – ಚಕ್ರಾಬ್ಜ ಮಂಡಲ as a pedestal or peetha is very rewarding. So, what is the meaning of Chakrabja Mandala – ಚಕ್ರಾಬ್ಜ ಮಂಡಲ? I had learnt to draw this when I came to the US several years back from my Brother-in-law Balaji’s ( my sister Suma’s husband) grandmother who was here in the US. However, due to several reasons this rangoli had completely skipped my mind and I forgot drawing this. During the Shravana Masa, my Little Niece Shwetha, you all know her right? The one who drew our beloved Raghavendra Swamigalu had drawn this for Sree Anantha Padmanabha Vrata. My Sister showed it to me when I visited her house for the festival. You can see the picture Shwetha has drawn in the picture below, I have a red/yellow arrow pointing to the same. There are two, one exactly below the table, and the other can’t be seen since the God is on top of the rangoli. I came back home and started searching the drawing online, to find none. Accidentally I opened the “ಸಾಧನ ದೀಪಿಕಾ or Sadhana Deepika” book I had, and there it was the Rangoli. It is customary to draw this while performing pooje, and than place the Lord or any God you are performing pooje on top of this rangoli. I will post a step by step instruction on how to draw this Chakrabja Mandala – ಚಕ್ರಾಬ್ಜ ಮಂಡಲ soon. For the time being attached below are images of the same. 1. This image is from my “ಸಾಧನ ದೀಪಿಕಾ or Sadhana Deepika” book. 2. This image is from SBAT temple. Details of the temple can be found here. Scroll down in the page, and you will see several images. http://sbat.org/Poojas_Homas.html. I received an email from a mailing list which I have subscribed, which had links to several books on Hinduism. As I was browsing through the content of the web site which had several important books scanned, I found this simple and very well explained book which has details of all the festivals, the rituals which needs to be followed and so on.. This book is in Kannada. You can read the book online or even download a PDF file, whichever is convenient to you all. P.S: The details for all the many festivals coming during Shravan Masa starts from page 32 onwards. The lyrics for this famous song Kapadu Sri SatyaNarayana was provided by Mr. ನಾಗೇಶ್ ಕುಮಾರ್. ತುಂಬ ಧನ್ಯವಾದಗಳು ನಾಗೇಶ್ ಕುಮಾರ್ ಅವರೇ. I just copied and pasted from your comment on the lyrics page into this post. And here is the lyrics in English in Baraha. Copy and paste into Baraha to convert to your regional language. A few slokas on Lord Sri Satyanarayana in English and Kannada. 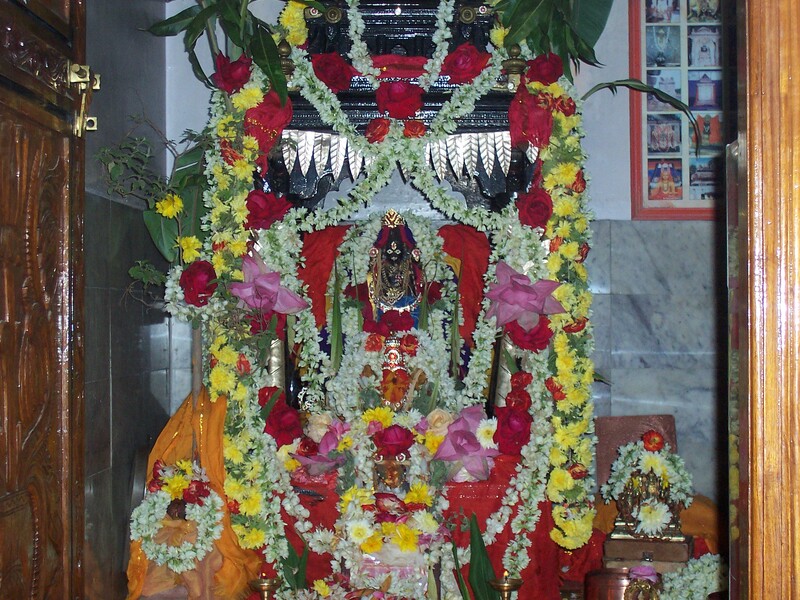 Sahaara vaksthala kaustubha sriyam, namaami vishnum shirasa chaturbhujam. ಸಹಾರ ವಕ್ಷಸ್ಥಳ ಕೌಸ್ತುಭ ಶ್ರಿಯಂ , ನಮಾಮಿ ವಿಷ್ಣುಂ ಶಿರಸಾ ಚತುರ್ಭುಜಂ. Shridharam Madhavam Gopikavallabham, Janakinayakam Ramachandram bhaje. ಯೋಗಿಭಿರ್ ಧ್ಯಾನಗಮ್ಯಂ, ವಂದೇ ವಿಷ್ಣುಂ ಭಾವಭಾಯಹರಂ , ಸರ್ವಲೋಕೈಕನಥಂ.